- Ideal untuk pergudangan, logistik, ekspedisi, transportasi bahan makanan, obat-obatan, bahan kimia, cold storage , laboratorium, dll. 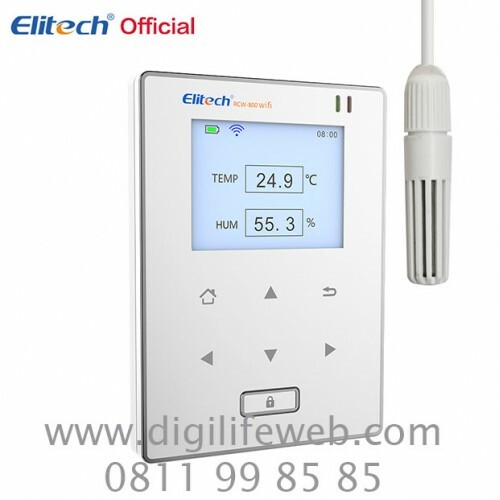 Elitech RCW-800 Wifi temperature logger is a two channel temperature and relative humidity data logger based on the Internet of Things technology. 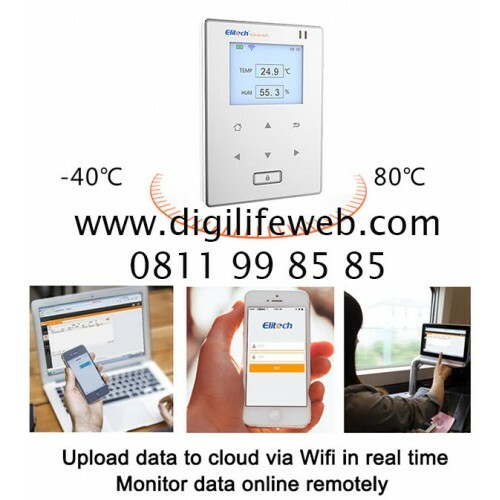 All data recorded is transmitted via Wi-Fi network infrastructure. There is no communication fee, thereby, reducing operational costs and fees. 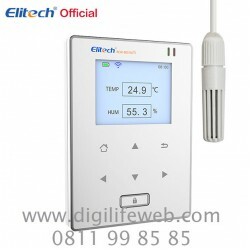 With this technology, users can view, manage and monitor data from Elitech Wi-Fi temperature logger in real-time. It allows for offline logging and online synchronization to ensure data safety and accuracy. They can access up-to-date data via a smart-phone app or browser. 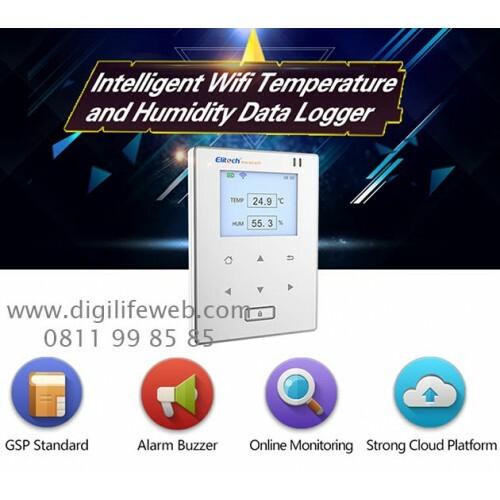 A freely settable upload interval, data statistics and analysis makes all Elitech Wi-Fi temperature loggers convenient and reliable. 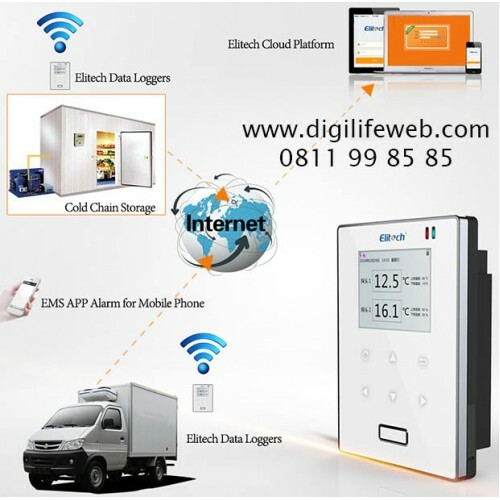 Their multiple alarm modes, threshold and upload intervals can be configured depending on the cold chain supply management system. 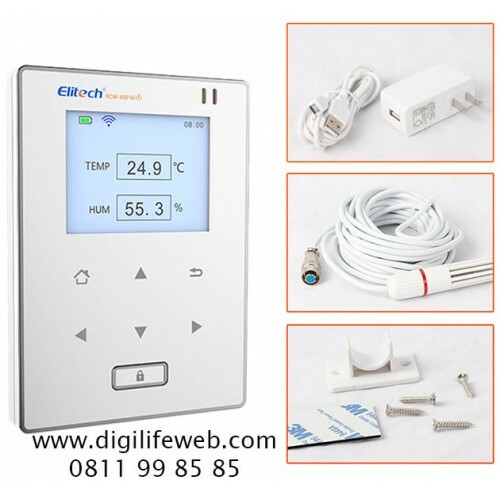 For a fact, this Wi-Fi temperature logger is a versatile equipment suitable for pharmaceutical, cold storage, cold cabinet, medical cabinet, cold food storage, fresh food storage, laboratory, etc. 4. Real-time uploads of data to cloud, offline logging and online synchronization to ensure data safety. Standby battery: 3.7V 1100mAH lithium battery.